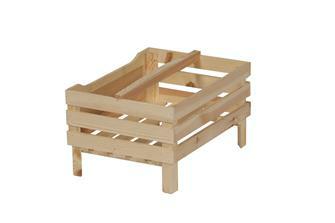 Fruit and vegetable storage crates for storing and preserving fruit and vegetables. 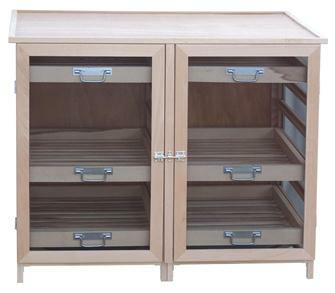 French manufacture in wood. 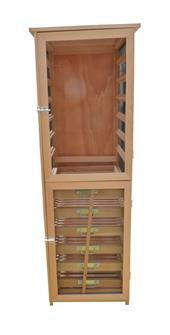 Fruit and vegetable storage cabinet with 6 levels. 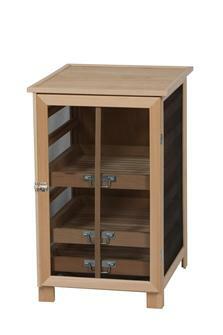 Comes with 3 drawers. Armoire de conservation haute de 12 emplacements. 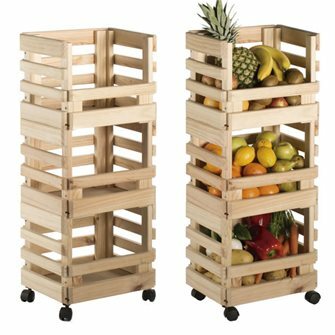 Légumier fruitier bas 12 emplacements, livré avec 6 tiroirs. 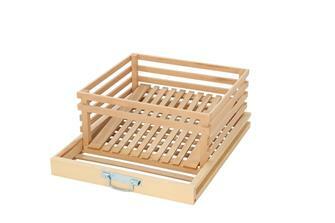 Special potato drawer for fruit and vegetable storage cabinet.